Hi Crafters!! It’s time for our next Challenge, and it’s a fun one because the theme is SUMMERTIME! Create a project using your Copics or any of the markers that we carry! You may play along with other challenges, but excessive challenge pile-ons (more than 10) will result in disqualification for our amazing prize. As always, have fun creating! One entry will be chosen at random to receive our prize. 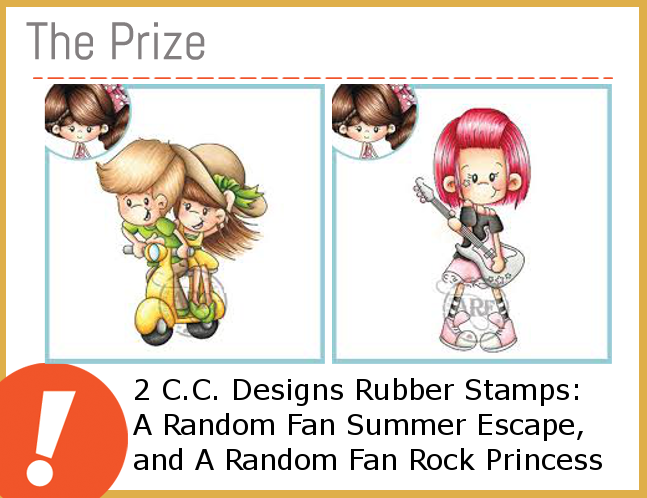 Three additional entries will be chosen for the ‘Top 3′ based on their amazing coloring skills. The prize winner and top three can all proudly post their brag buttons on their blogs for the world to see! Entries are due by Sunday, July 26, 2015 at noon CST. Winner will have TWO weeks to claim their prize. 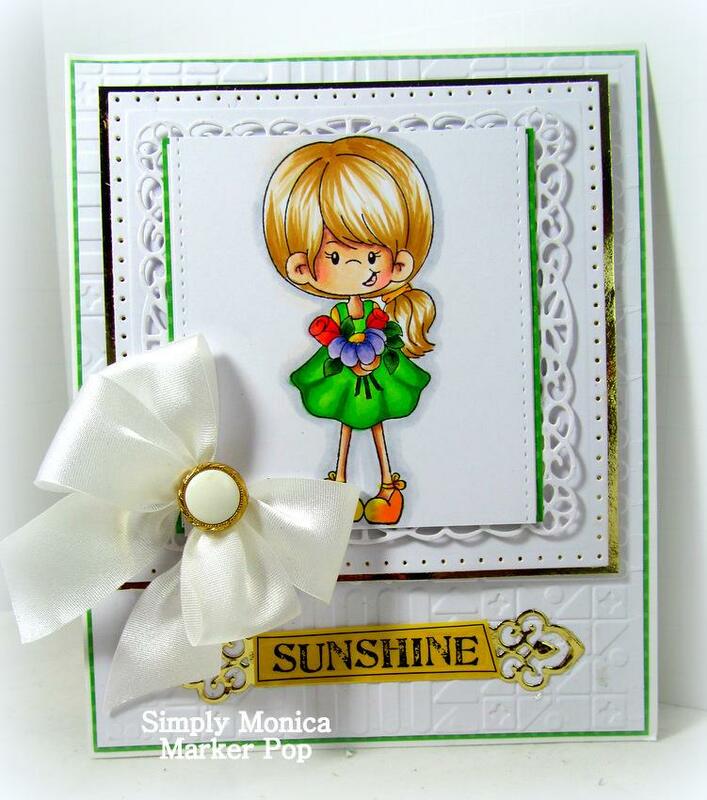 Monica‘s card is absolutely lovely today; it is PERFECT for Summertime! She is using a C.C. Designs stamp from the A Random Fan collection. She colored the image just beautifully with Copic markers (Dress: YG05, YG07, YG09, Y08, Y17, Y35, Hair: E30, E31, E35, Flowers: BV00, BV04, R21, R24, R29, G24, G28, G29, Skin: E000, E00, E04, E11). Now it’s YOUR turn! Can’t wait to see what everyone creates!